They insure more than housing comfort. Efficiency of heat recovery with ventilation devices is very high, up to 90%. 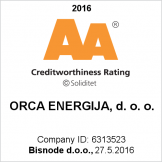 In comparison to other quality products, Orca products are financially favorable. Don't miss out on the benefits. Do you have mold or moisture problems? This is a very current issue in Europe, because more than 50% of residents deal with excessive moisture and mold. We have devised a special solution for such cases that will help you provide fresh air and also save 30% of heat energy that would otherwise be lost with opening your windows. All newer living areas are built in-step with construction regulations. They pay special attention to energy losses which demands a well insulated outer layer of the building and high quality, air tight windows and front doors. On the other hand, it is very rare for these (modern) living areas to have a ventilation system in place. Ventilation by opening the windows several times a day for at least five minutes can be very unpleasant due to draft, noise invasion, unclean air; in winter time also icy air invasion and in summer hot air invasion into a chilled area. A quick and financially sound solution to the problem mentioned above is represented by a subsequent installation of a decentralized ventilation system. We can efficiently, qualitatively, energetically frugally, durably and of course financially-favorably set up ventilation for our living areas. How does the ventilation system work? Output units (ventilator units) are placed into rooms that contain the highest concentration of moisture or the places where the air is drained the most. This used-up air is then transferred into ventilation shafts or outside. This creates conditions (negative pressure) that allow fresh and clean air through conduit units. No draft, no heat losses, silently and evenly. The system can also have protection against pollen which is especially important for people with allergies. Systems with heat- restoration (recuperation) have recently been placed on the market. They can be installed in already existing buildings without special construction procedures. They work on the principle of heat exchanger with over 90% efficiency. This allows a possibility of an older house to be turned into a passive or low-energy building. Constant ventilation of all living areas without opening the windows and without draft. Always plenty of fresh, filtered air. Less allergies, because things like bad air, noise, mites and pollen stay outside. Bad air, smells, harmful substances (paint, solvents, furniture and other vapors) are getting carried out. Moisture gets removed from the living area and thus preventing mold growth. Inside heat loss is minimal, since you don’t have to open doors or windows. Quality ventilation systems follow German low-energy standards (DIBt). A three year analysis of documented energy consumption in ventilated buildings with decentralized system has shown that the system itself saves 30% of energy in comparison to airing rooms by opening the windows and that means that the investment pays off in as little as 6 years, but the system will continue to work long after. 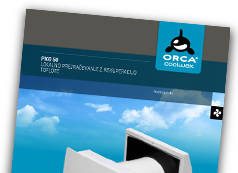 Device for heat recovery PICO50, is suitable for both, renovated and newly constructed buildings. This simple and effective solution brings freshness into your home. Reduce the heating costs and say goodbye to mould. What can effective, reliable and efficient ventilation devices provide for you? Ventilation systems of the individual rooms are ready-to-use ventilation devices, continuously supplying fresh air, cleaning the air, and at the same time removing the exhaustion air from your rooms. According to sustainable heat losses in every home, this technology for heat recovery is highly economical and modern. Ventilation devices are individual and useful in every phase of the projects, either when planning the ventilation equipment for new buildings, including post-fitting, as well as when renovating old buildings, or buildings, for which the central ventilation is economically inappropriate. Efficiency of heat recovery with ventilation devices is very high, up to 90 %. 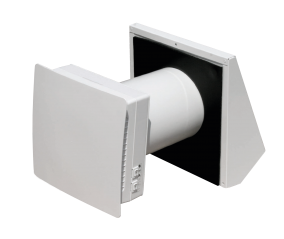 Ventilation systems have a compact size and do not require separate connecting elements or air lines. They are ready for immediate use. 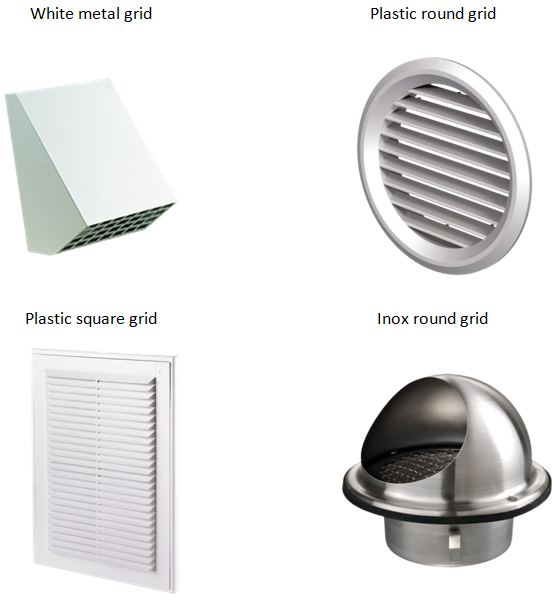 When buying local ventilation system with recuperation PICO 50 you can choose between different outdoor grids.